VANCOUVER — If you ever have lunch at the Subway off 136th Avenue in Vancouver, you might see a peculiar and amazing site: a man ordering lunch with a large parrot resting on his shoulder. 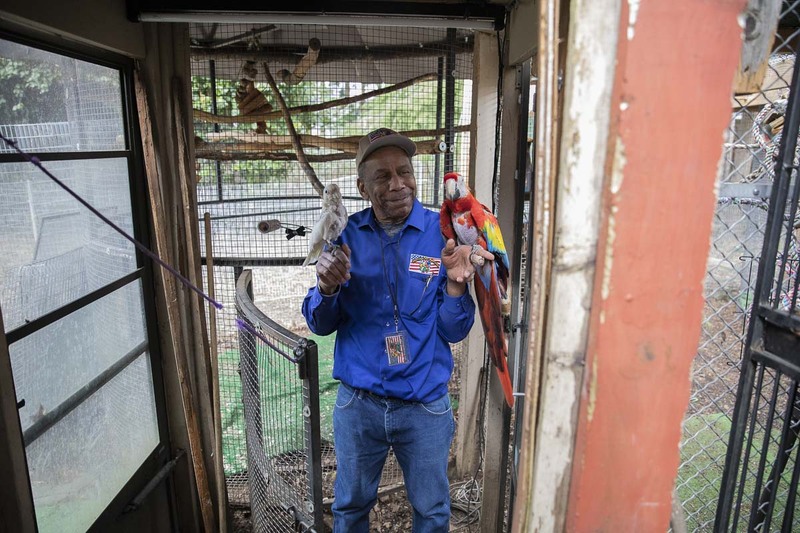 This man is long-time exoctic bird rescuer, Chris “Birdman” Driggins. The nickname he’s carried for over 20 years. Driggins began rescuing birds in the 1980s, after “just wanting a parrot at first.” Shortly thereafter, he formed Northwest Bird Rescue and began taking in birds from people in the community as well as saving wild birds. 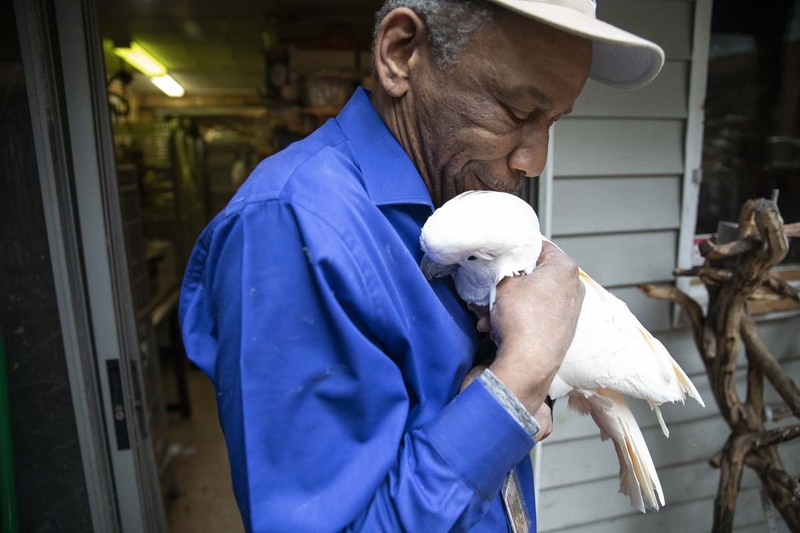 His goal: re-home the birds with people that will be their “forever home,” as he says. A veteran of the U.S. Airborne himself, Driggins noticed many of those keeping the birds the longest were his fellow veterans. 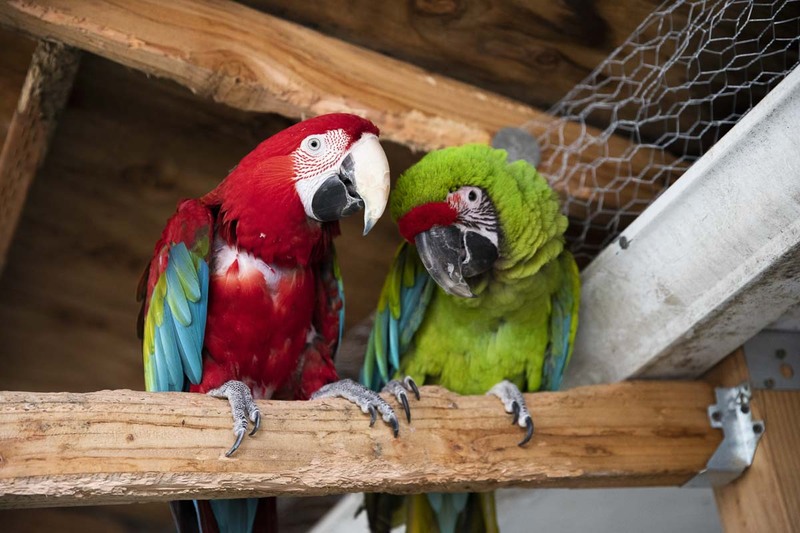 Two rescued Macaws play together in the NW Bird Rescue aviary. After taking in two birds from an Oregon vet who had passed away, he had an idea. In that moment, he said he decided to form the Parrots for Patriots branch of his exotic bird rescue organization. The program has since taken off, and many veterans now home birds and adopt new ones from Driggins. As companions, birds can serve as incredible therapy animals for veterans suffering from PTSD. Due to their incredible lifespans of often 80- to 100-years-old, parrots can outlive other more typical animal companions such as dogs. I have a bucket or a tub, and when someone helps with the adoption or rescue of a bird, I tell them, ‘put your hand in there and grab as many as you can.’ Then right as their hand goes in I say, ‘don’t let it bite you,’ just to mess with them. Then they pull out a handful of Lifesaver candies, and I tell them, ‘You’re a lifesaver,’ Driggins said. 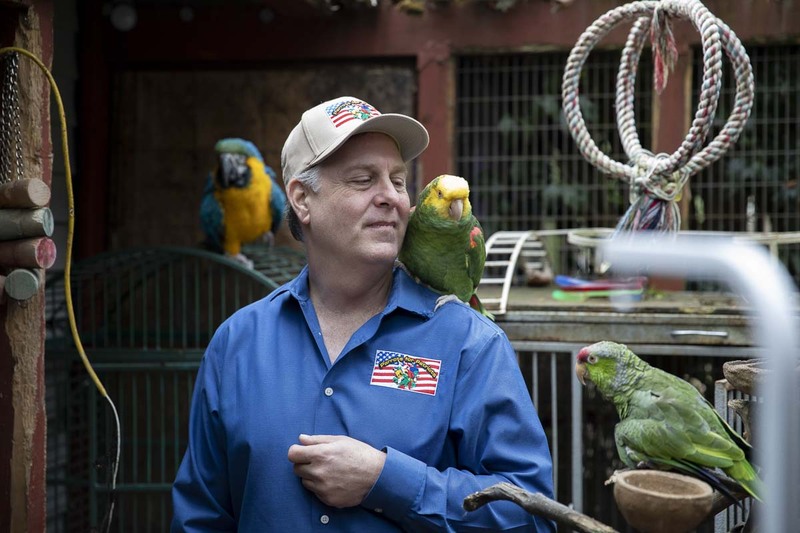 Parrots for Patriots is now operating and accepting applications for adoption, over the phone at (360) 247-3626 or through their new website at http://parrotsforpatriots.com/.